Sher Motwani a Professional Engineer and President of A Manufacturing Company. Married for past 35 years, father of two daughters and has a 2 year old grandson. Sher's wife Meena is actively involved in all the activities of the Sindhi Community. Sher has been the Chairman of Gurmandir Board for past 6 years and has involved with the Sindhi Association for 10 years. Under his leadership, Toronto Sindhis organized a very successful Sindhi Sammelan in 1997, which was attended by more than 1000 Sindhi Delegates From around the world. Suresh Jagtiani is an Engineer, originally from New Delhi, lived in the Middle-east for 24 years before moving to Canada in Aug 2000. Self-Employed, runs an accredited Career College Key2Careers in Toronto & an Oil/Gas Equipment Export Company which has offices in Toronto, Delaware, USA, and Dubai. Has two sons Rahul who is married and works for Microsoft in Seattle & Rohit who is at University of Waterloo. His wife Neelu is also self-employed.. Since coming to Canada, has been actively involved with the Sindhi Community. As Chairman, CEO and Co-Founder of Sigma Systems, Mr. Jasuja is responsible for the overall strategy and direction of the company.His extensive experience in Information Technology enables the company to deliver world-class software solutions to tier-1 companies in the Cable and Wireless industries. Prior to founding Sigma, Mr. Jasuja was involved in creating leading-edge software solutions for the Banking/Telecom industries.Andy Jasuja began his career in Information Technology in 1975 at Tata Consultancy Services, Bombay, India. He holds a Bachelor's degree in Electronics Engineering from The Institute of Technology, Varanasi, India and a Masters degree in Systems Design Engineering from the University of Waterloo. Businessman since last 30 years. Settled in Canada since 2000 and before that was settled in Korea. Trades in Textiles/Garments and has a factory in China with offices in China, Korea, Dubai, Tehran & Mumbai. Actively involved within the Sindhi Community and is proud to be associated with the Sindhi Gurmandir in Toronto and became a Gurmandir Trustee in memory of his late Mom & Dad. 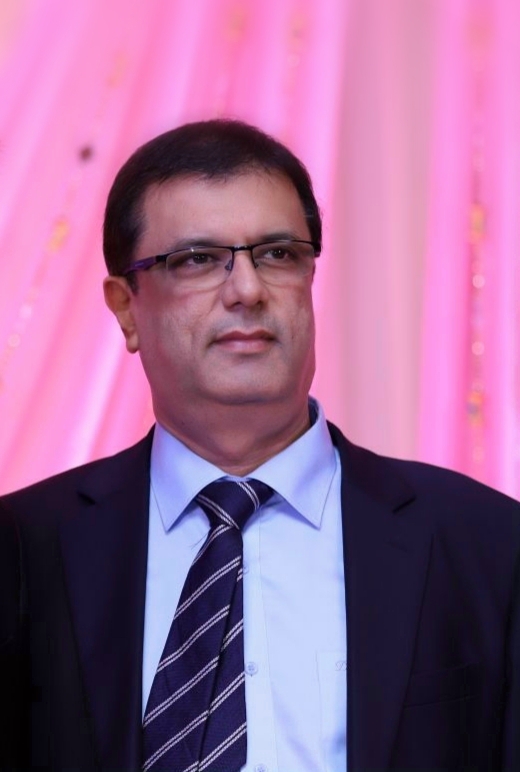 Gopal Karna has been actively involved within the Sindhi community and serving as the Financial Controller for Gurmandir. He looks after all the accounts, budget, tax returns etc for Gurmandir.